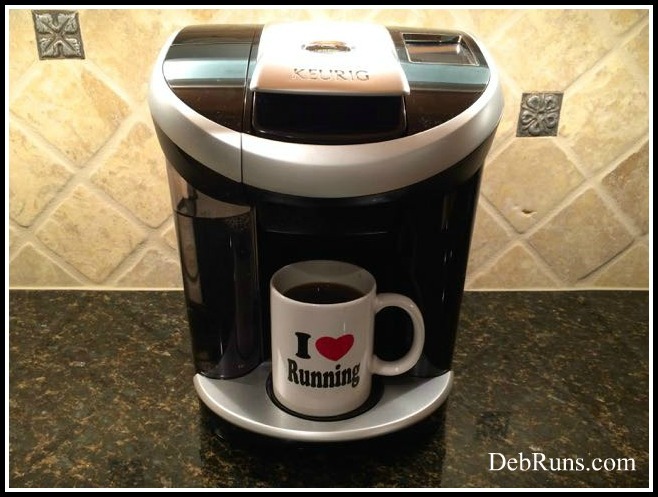 It’s time to sit down once again and chat about things other than just running and training. Today’s focus will be on what’s howling outside right now – fierce wind! I love talking about the weather. It’s always changing – always has been and always will be; and I think it’s the farmer’s blood in me that is so fascinated and tuned in to its ever changing mood. As a runner, I need to be equally tuned in to the weather when deciding whether to run outside or inside, and if outside, what to wear. I’d tell you that today was an unexpected free day for me. 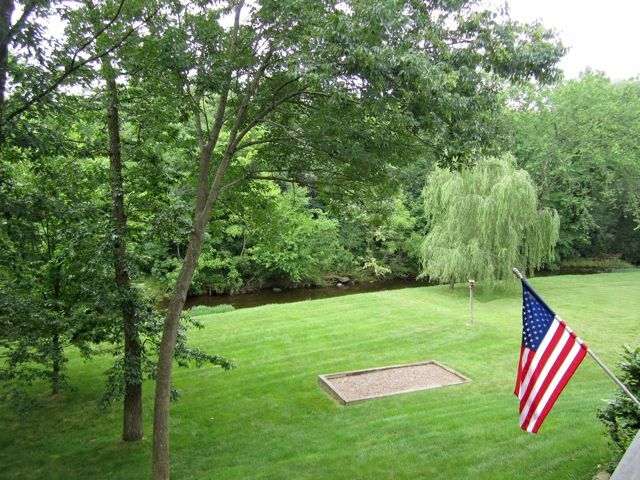 With plans to go to New Jersey for the weekend to see our son and daughter-in-law, I had moved clients to earlier in the week and canceled my Friday balance and stretching class. I’d even pulled together a plan to get my twelve-mile run completed with friends super early this morning so I could stay in and enjoy visiting with my family tomorrow morning. At 2:32 AM this morning, I awoke to the anticipated howling of wind. I didn’t sleep particularly well after that so I slept in (I’m using that term loosely) until 7:30. Once up, I received a text from the only client I hadn’t rescheduled, saying she couldn’t keep her mid-morning appointment. An unexpected day with no appointments – what should I do? 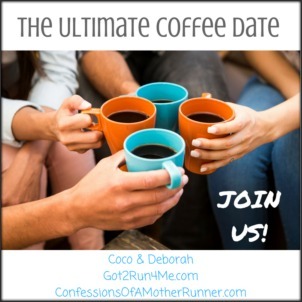 Well for starters, I’m joining in on the ultimate coffee date, something I hadn’t expected to participate in this month! I’d tell you that out of an abundance of caution, we took the covers off of both sets of patio furniture. 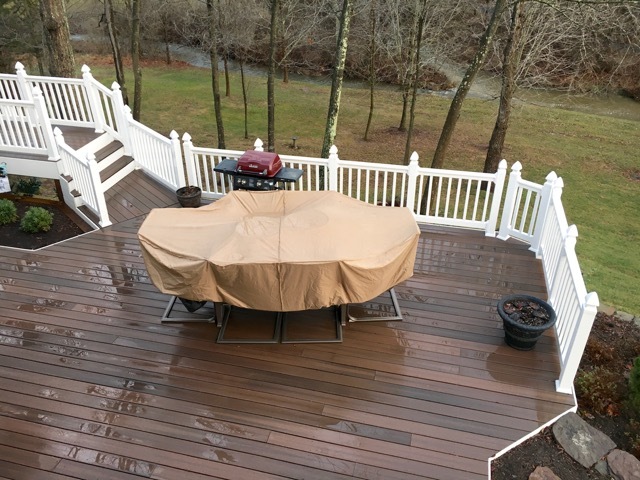 We didn’t want the covers to become sails and move our furniture across the deck, through the railing, and into the back yard. 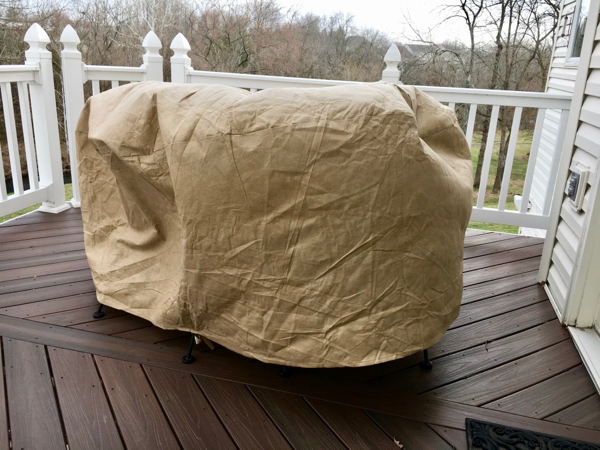 The below photo is from last year – the heavy stone table and chairs were setting parallel to the decking boards until the wind got under the cover, lifted it, and moved the furniture across the deck. I’d tell you that while on my run on Saturday I saw a few hints of buds on a few of the trees along the trail! I’d tell you that our weeping willow hasn’t started getting green yet and it’s usually teasing us of spring by late February. Last year it turned a faded greenish-yellow and lost a lot of leaves over the course of the summer, and I’m nervous that it’s died. This picture is from a few years ago when our willow was quite healthy and happy. I’d tell you that I’ve added another spring race to my schedule. I’m planning to run a trail 25K in SWVA in early April. It should be interesting considering I’ve hardly run on trails in the last couple of years. I’d update you on my Grand Tetons Half Marathon plans. Not only are we going to enjoy a little time in Wyoming before the race, but we’re going to spend a week in southern Utah hiking around the five national parks – Arches, Bryce, Zion, Canyonlands, and Capitol Reef. Longtime friends who we haven’t seen in over fifteen years are going to be in Utah while we’re there, so we’re going to have the added bonus of seeing them! Do you have any buds popping out on trees yet? What’s your absolute favorite drink – water, coffee, tea, soda, fruit juice, wine, beer, cocktail, etc? This wind is just unbelievable! We were out of power all day and just got it back thankfully bc it’s getting cold in here. Thanks for linking up for coffee! Oh wow, I’m glad your power is back up and running! The nice thing about living here where everything is “new” is that all the power lines are buried so we rarely lose power. I think we’ve lost power only once in the 27 years we’ve lived here. My parents lost power so often that they had a whole house generator installed. It’s been a life saver for my mom since my dad died. Oh no, I’m so sorry to hear about your car windshield… I hope your power is back on by now! Oh wow that wind looks ominous. Cannot believe the bomb cyclone you guys are getting. For once we’re sitting here in Chicago with gorgeous weather. How’d that happen?? Yeah, this was a pretty significant wind event… It’s pretty calm today comparatively – more of a light breeze. That storm is really something! My sister lives in NY and they’ve lost quite a few of their very old trees. I hope yours stay upright! I’m still figuring out the shoe thing. The Asics got too heavy for me and the Mizunos aren’t giving me as much support. Why can’t we just find a forever shoe? All of our trees made it out unscathed with just a few branches scattered over the back yard. Whew! I’m not 100% sold on my Asics after yesterday’s 12-miler. They feel fantastic across the top of my feet where I usually notice pain with most running shoes even when not running (right foot, specifically); however, I’m not sure if I got enough support for my right toe and its hallux rigidus. I agree, I want a forever shoe that feels just right! Oh, the wind! Thankfully our wind this morning was not in the 70mph range, but my app showed it ranged between 16-22mph (nonstop) with gusts up to 28mph. I’m just thankful I nailed the layering and we had plentiful sunshine. I didn’t quite nail the layering on my run yesterday… My legs were too warm so I should have worn shorter and lighter weight capris. I wore a tank under my lightweight jacket and would have been better off with just my jog bra on underneath. Oh well, I tried! I’m still marveling over the fact that Dulles clocked 71 mph winds. It was pretty bad here, but didn’t seem that bad! I’m only 5 or 6 miles from Dulles. I like the color and pattern of your new Asics. I hope they feel good on your run! 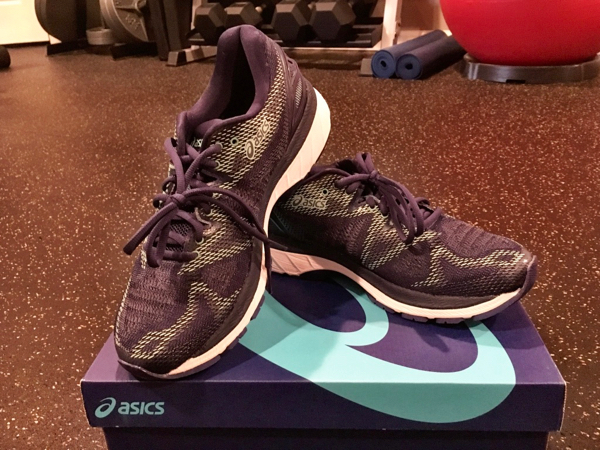 The jury is still out on my new Asics… They feel great while just wearing them around the house, but I’m not sure if I got enough support in the forefoot for my hallux rigidus because I was aware of it during my run. The opposite happens with my Brooks Glycerins – they feel tight and press on that bony lump behind my big toe when I just wear them around, but feel pretty good when I run. I’d go back to UT in a heartbeat! So much we didn’t get to see there. We were forecast to get real windy, but thankfully it didn’t happen – especially as we can often lose power in high winds. You definitely made the right decision — I have a friend that was stuck on a highway in PA overnight (she’s ok). I’m glad your friend is okay. I would hate to get stuck on the interstate! So many people down here lost power, but thankfully we didn’t (our area has buried power lines). We often lose power if there’s high winds, especially as we’re on a small hill, but luckily it didn’t get quite as windy up here. Oh my gosh the wind has been crazy! We lost power for about 12 hours – not fun. Your Utah plans sound like fun! Such a pretty state – I’ve only skied there, but I think it would be a great place to run! Oh no! I’m so sorry you lost power – so many people did down here, too. We lived in Utah for two years and honeymooned in the Grand Tetons and Yellowstone. It will be a fun trip back! Stay safe! I have heard the weather has been so bad with this storm! Scary winds for sure! I’m feeling lucky to be down in Florida. Good luck with teh Asics, I’m totally a Brooks Adrenaline girl for about 5 years now. Thank you! We made it through the storm unscathed, but many people in the area lost power. We were lucky! Alexa’s jokes are so corny! We were mostly without damage here (NYC), but mom is 24 miles north and tons of trees down. Hope your son and daughter in law are unscathed. Isn’t it amazing how a shoe can work for years and then, boom, no more! Ha… Plank! Good luck at your trail race!